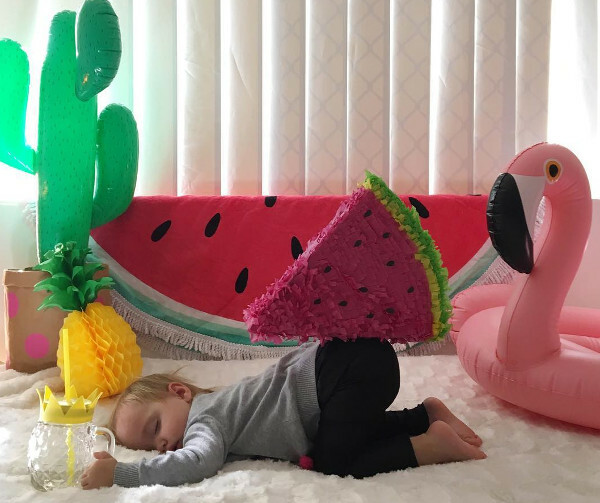 Here’s your daily dose of cute, Babyologists. 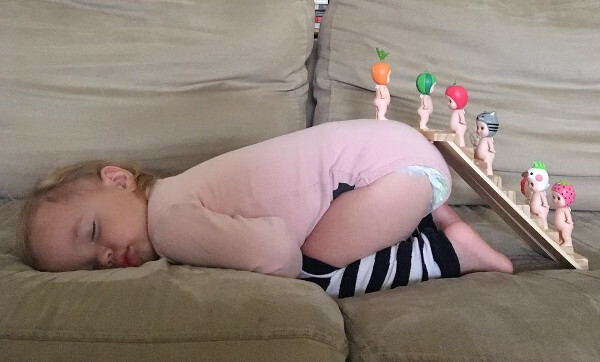 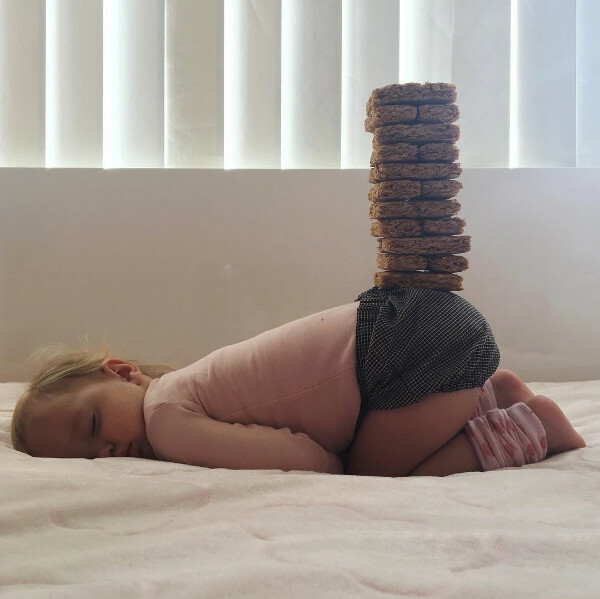 Meet Layla, the Queensland kid that can balance everything from a pet chook to pancakes on her bottom while sleeping soundly. 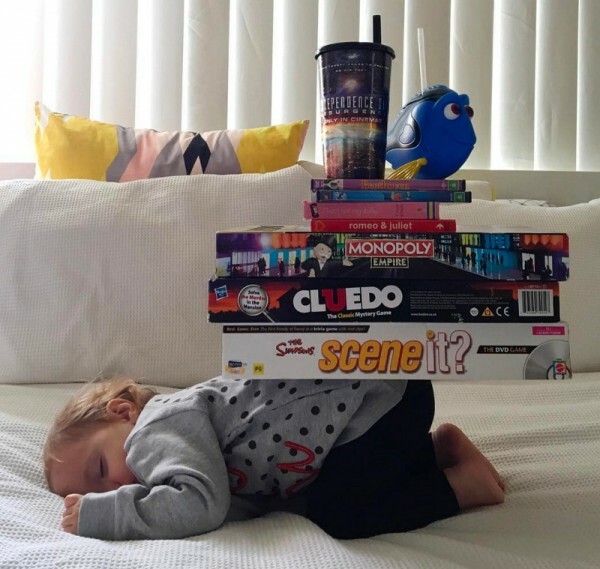 Forget the Cheerios Challenge, this tot is about to win Instagram. 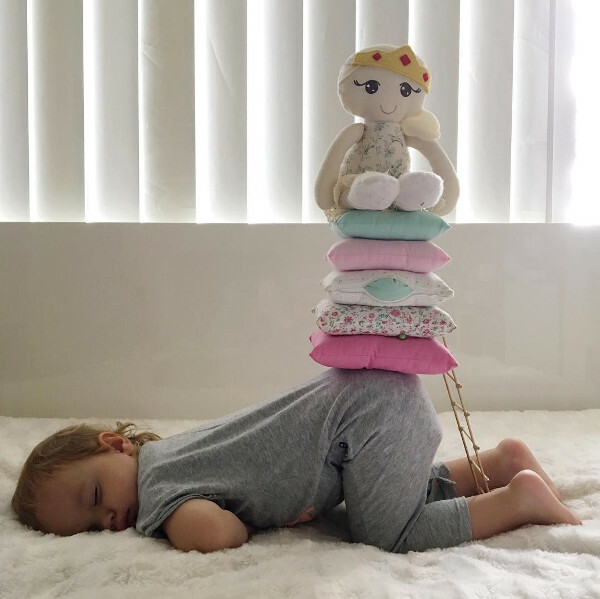 … soon escalated into a hashtag of epic proportions – #laylabalancesstuff – as mama got more daring, with pillows, princesses and even an entire army of Sonny Angels. 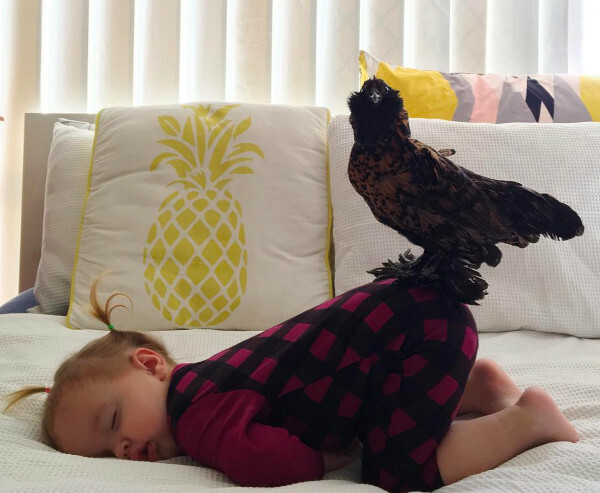 Next came every Aussie kids’ favourite breakfast food, Weetbix. 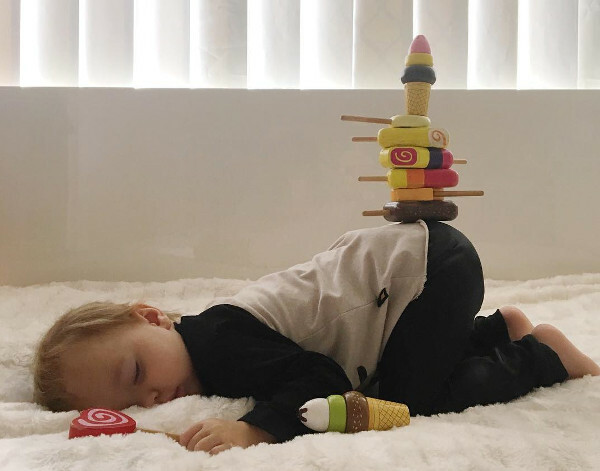 How many do you do, indeed? 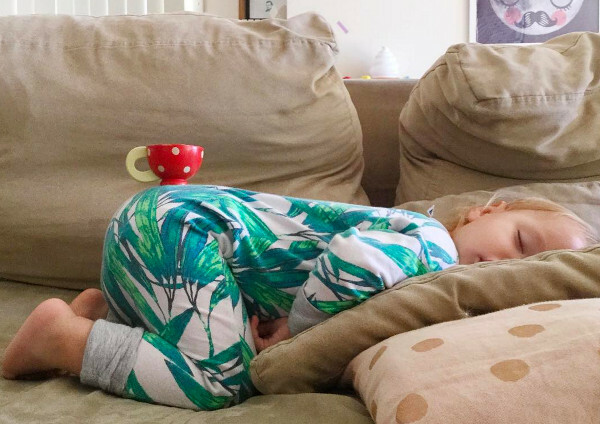 For the record, Layla can do 22. 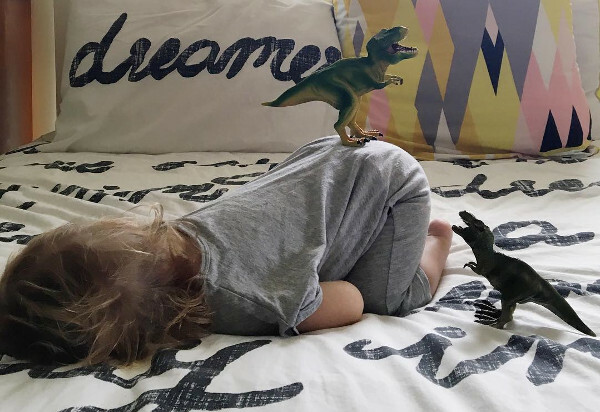 Even plastic fish in water-filled coffee pots and roaring dinos are no match for this toddler’s derriere at nap time. 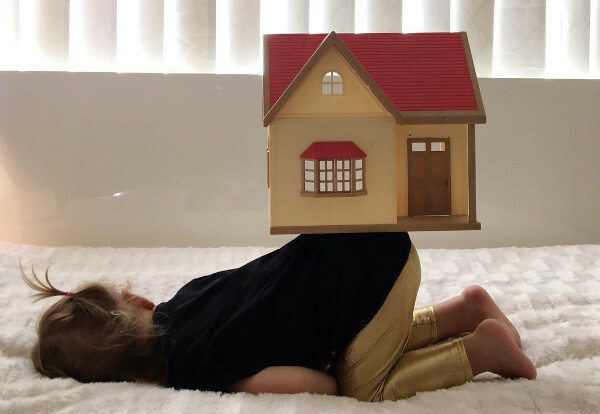 Mum Lisa, who Instagrams as mummyof7monsters explains in one of the posts that her daughter Layla is the first of her children to sleep on her belly. 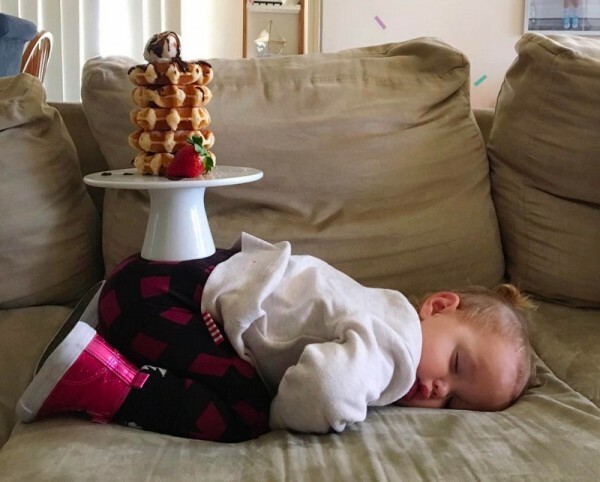 So a few weeks ago she started stacking stuff on her daughter’s bottom as she slumbered, and it’s so adorable we can barely stand it. 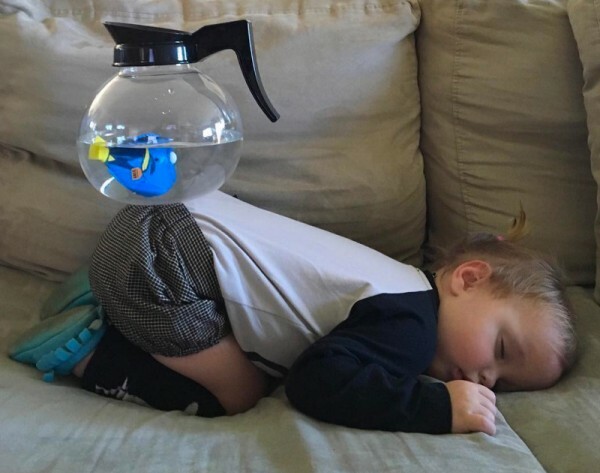 From the family chicken, Waffle (who patiently endured his moment atop sleeping Layla), to Dory in a coffee pot there’s been all manner of random stuff stacked on the toddler. 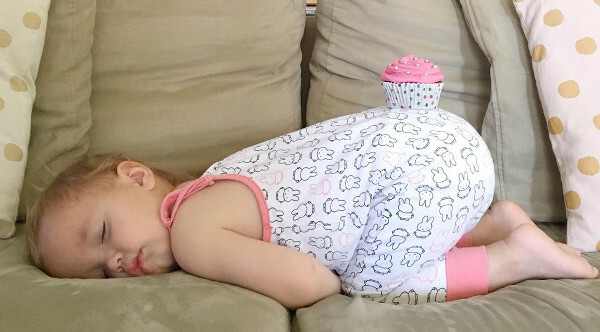 Little wonder what the slideshow at Layla’s 21st will look like. 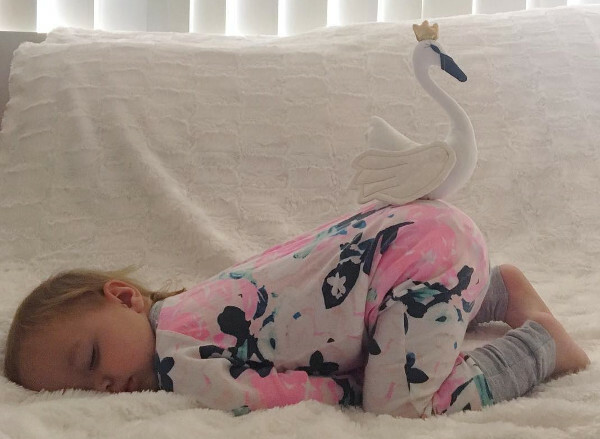 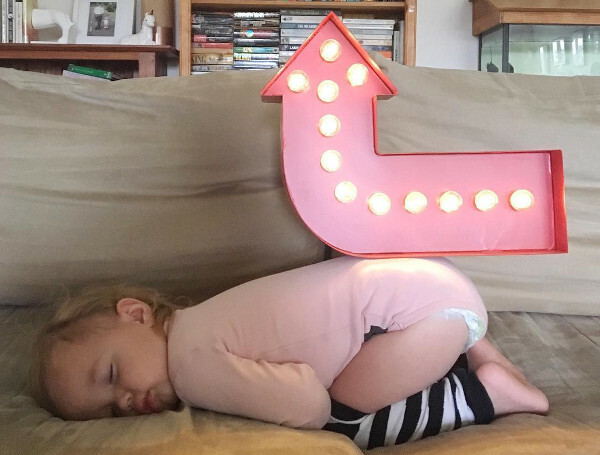 Now you’re in the mood for funny sleeping kids, take a look at our round up of hilarious photos that show the drama of kids and sleep.